Help promote a healthy pregnancy and baby by eating well and avoiding these foods. Eating nutritious foods during pregnancy is important to the health of both you and your baby. But are there any specific foods that carry risks and should be avoided altogether? Yes! Here is a list of some of problem foods to stay clear of for the health of your unborn child. 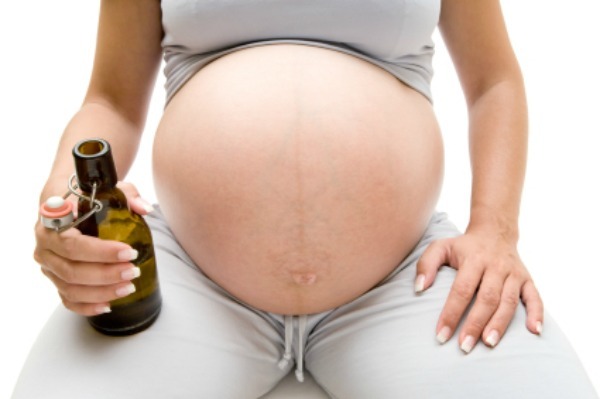 It’s common knowledge that drinking alcohol during pregnancy is a no-no. Consuming alcohol can interfere with your baby’s healthy growth and proper development, and as such, should be completely avoided during pregnancy. Deli meats such as bologna or salami, as well as all others, can potentially be contaminated with listeria, which could damage the fetus or cause a miscarriage. While it’s best to avoid them all together, if you do choose to eat deli or cured meats, make sure to heat the meat until it’s steaming to kill off any bad bacteria. Paté fits into this category as it may contain listeria as well. Raw fish could possibly be contaminated with harmful bacteria, so stay away from foods such as sushi, oysters and cured products like smoked salmon, to avoid food poisoning and its harmful effects on your baby. Some oily fish contains a significant amount of mercury which can be detrimental to your baby’s normal development, so it shouldn’t be eaten during pregnancy. Just a few of the varieties with a high mercury content are swordfish, tuna and mackerel. Raw or undercooked meats and uncooked eggs are potential sources of bacteria that may cause a food-borne illness in the mother and cause a problem for the baby. E. coli and salmonella are just two examples of bacteria that may be found in these uncooked foods. Fully cook all meat and poultry, consume only cooked eggs and watch for and avoid hidden sources of raw egg, such as in Caesar salad dressing, aoli and homemade mayonnaise. Unpasteurized or raw milk products can possibly contain listeria, which can lead to a serious bacterial infection and potentially a miscarriage or a still-birth. Some cheeses may be unpasteurized, so read the label carefully on all cheeses, soft or blue-veined cheeses in particular, such as brie, Camembert and Roquefort.